When it comes to your oral health, your gums are actually just as important as your teeth. They provide essential support for your smile as well as protect the sensitive enamel around your teeth’s roots. If too much plaque and bacteria are allowed to accumulate on the gum line, it can easily develop into an infection called gum (or periodontal) disease. This is the most common dental problem in the entire world, and what starts off as minor inflammation can quickly turn into the leading cause of tooth loss! To make sure this infection never impacts your smile, Dr. Thomas Novak, Dr. Johannsen, and our team will always keep an eye on your gums during your regular appointments. 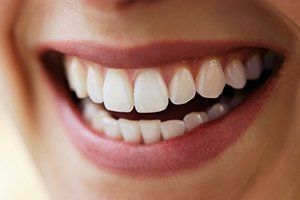 Should we see any signs of the disease, we’ll be able to quickly diagnose and treat it using a range of treatments known as periodontal therapy. When treating gum disease, scaling and root planing can be used to perform a “deep cleaning,” in that it can be used to clean deep underneath the gum line where gum disease bacteria tends to thrive the most. Scaling will be used to clear away plaque, bacteria, and calculus (hardened plaque) from the area around the gum line, and then root planing will be used to smooth out your teeth’s roots. This will make plaque less likely to gather on them in the future, therefore reducing the chances of reinfection. If you have red, swollen, tender, or puffy gums that bleed whenever you clean your teeth, you may already have gum disease. In order to stop the infection in its tracks, please contact us today for treatment.